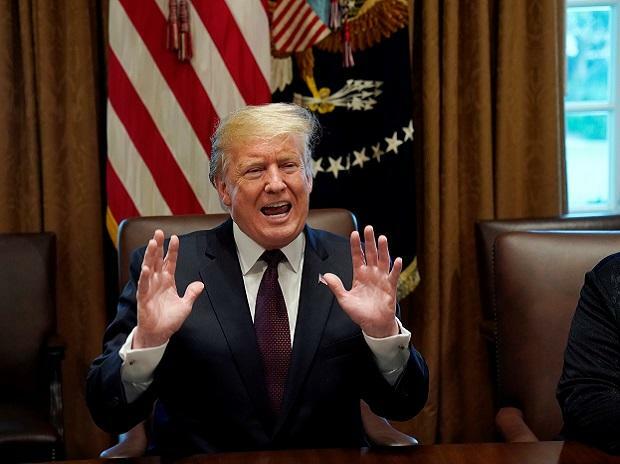 US President Donald Trump on Monday denied that he ordered an end to major US-South Korean military exercises as a concession to North Korea's totalitarian leader Kim Jong Un. The previously annual, large-scale manoeuvers -- meant to keep troops ready in case of conflict with North Korea -- were shelved shortly after Trump's summit last week with Kim in Hanoi. Trump denied there was any link. "The military drills, or war games as I call them, were never even discussed in my mtg w/ Kim Jong Un," he tweeted. "I made that decision long ago because it costs the U.S. far too much money to have those 'games', especially since we are not reimbursed for the tremendous cost!" he said in the tweet. There are close to 30,000 US troops stationed in South Korea, and their annual drills with tens of thousands of South Korean soldiers have angered North Korea, which claims they are rehearsals for invasion. While Trump has ruled out withdrawing US troops, he has repeatedly complained about the cost of the exercises, describing them at a press conference in Hanoi as "very, very expensive". Trump's summit with Kim ended with no progress toward Washington's goal of getting the isolated country to give up its nuclear weapons.